Over a hundred people gathered at the St. Regis in Mumbai December 15 to discuss the state of Bitcoin and the potential of blockchain technology in India. Neha Punater, partner and head of fintech at KPMG in India, and a speaker at the BlockZero conference, highlighted the possibilities and opportunities offered by blockchain technology. "Blockchain has the potential to crash cycle time and reduce costs across diverse areas such as settlement, trade financial, clearing, etc. It will enable an efficient and secure way of recording and maintaining identities, collaterals — financial and non-financial." KPMG's stand on blockchain is clear: the technology is "a game changer that, if used to its full potential, can offer an innocuous, quick and economical way for transactions." Despite India's relatively nascent blockchain industry, the impact of the technology "is significant enough to guarantee assessment, experimentation and implementation by enterprises," the firm stated in a report released earlier this year. "Blockchain is precious money and more real than we think," said Rachna Nath, head of digital consulting at KPMG India. Aimed at exploring the use of blockchain for the Indian market, the BlockZero conference brought together entrepreneurs, investors and senior executives from the financial services and tech industries. Speakers included representatives from the National Payment Corporation of India, KPMG India, Chinese Bitcoin company BitKan, Indian blockchain startup Primechain Technologies, and the Global Blockchain Network, a trade association for the blockchain industry. BitKan, a sponsor of the event, presented the state of Bitcoin in China, highlighting the country's leading position in Bitcoin mining and trading. "Bitcoin has become an attractive short-term investment," Sandy Liang, operating director of BitKan, told the audience. 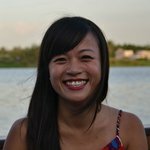 "Data suggest that China accounts for 80 percent of the bitcoin trading volume in the world." Similar to China, Indian investors are increasingly turning to Bitcoin, which most view as a hedge against fiat currency. The government's demonetization drive and recent abolishment of large denomination notes has created a craze for bitcoin, which investors are now purchasing at a premium price currently hovering at around $810 (55,000 INR) per bitcoin: a +4 percent difference compared to Bitstamp's current $777 price. "The Indian government has just abolished the 500 and 1,000 rupee notes and they are now facing the problem of liquidity shortage of paper money," Liang told Bitcoin Magazine. 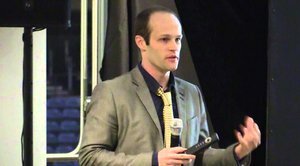 "Demand and interest for bitcoin have increased significantly. Also, the bitcoin price here is much higher than the international market price," said Liang. 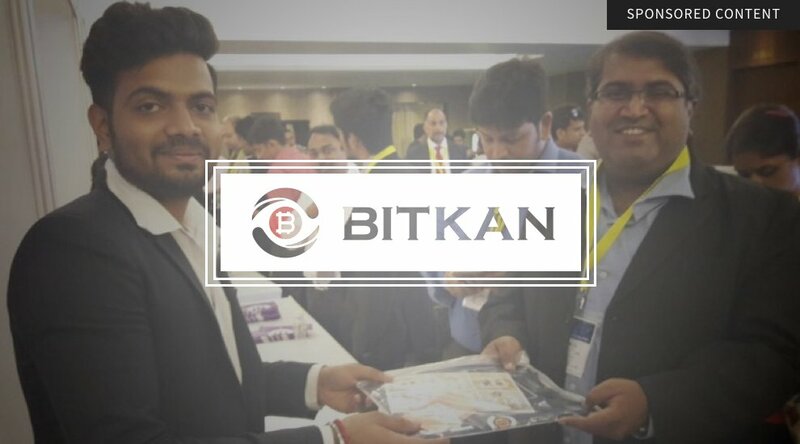 BitKan, which began offering over-the-counter (OTC) trading earlier this year, noted Bitcoin's big potential in India, stating that the country does represent an interesting market. BitKan, a Shenzhen-based bitcoin startup, provides an all-in-one application with real-time news feeds, price monitoring and alerts, as well as a bitcoin wallet. BitKan's OTC trading platform supports 15 currencies including INR, USD, CNY and RUB. The company raised $1.6 million from bitcoin mining giant Bitmain back in April. Given India's underdeveloped banking system and the unstable monetary policies, Bitcoin represents a good alternative for locals, Liang said. As India tries to crack down on corruption and "black money," the announcement in November that large notes were no longer legal tender, increased sales volume for bitcoin on several exchanges. Queries for bitcoins went up by 20 percent to 30 percent in the days that followed the news, according to ZebPay, a local Bitcoin exchange platform. "People who never talked about bitcoins called me," Saurabh Agrawal, CEO and co-founder of Zebpay, told the Hindustan Times. "Financial companies also want to invest in bitcoin. That's a big change in a country where bitcoins have never taken off." ZebPay added 50,000 news users in November, more than doubling the company's normal rate of 20,000 new users per month. "Our trade volume in November touched INR 120 crore (US$17.6 million), up by 25 percent compared to October, and our revenue grew 25 percent as well," Agrawal told the Economic Times in an interview yesterday.